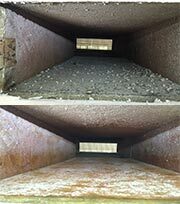 Our Air Duct Cleaning Company uses Power brush, with high-powered vacuuming that cleans and collects contaminants from your air ducts. 4. Vacuum all surfaces including front and back of grille assembly. 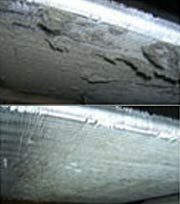 With lint and other debris, drying time increases and can cause the dryer itself to overheat. This increases energy consumption since the dryer has to run longer to dry your clothes and can also cause a fire in the dryer or the dryer duct. 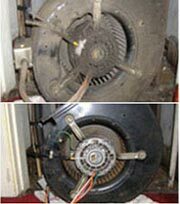 Our equipment is specially designed to clean dryer vents because it contains a longer vacuum tube with a brush attached to the tip. 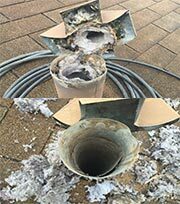 Chimney Cleaners in Austin TX will dispatch a technician that will take these steps in cleaning your chimney. 1. 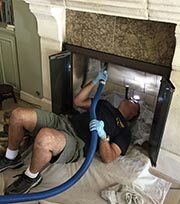 Cover the fireplace with plastic to ensure that debris does not contaminate the surrounding area. 2. Any ash or burned wood from the fireplace will be brushed and swept into a trash bag and sealed. 3. A hard metal brush with extendable rods will be placed up the chimney to agitate any debris. 4. The debris will be vacuumed and swept into another trash bag, sealed and removed from the home. Rain gutter cleaning needs to be done at least twice per year. 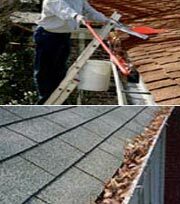 Leaves accumulating in the rain gutters will clog the downspout causing the gutters to overflow. This will result in water getting on your siding or windows causing mildew and splashing of sand on the the side of your home or business. The resulting wetness of the siding could start to rot. We clean the gutters thoroughly allowing the rain water to flow freely where you want it to go.